Welcome to Menorca Blue…. and welcome to Menorca! The fact that you have a personal tour guide, who not only shows you the best of what the destination has to offer, but shares with you the unique experience of what it’s like to live there. 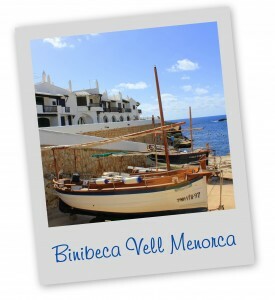 In Menorca there is an abundance of tranquility, culture, entertainment and adventure. This allows you to escape and relax completely, as well as enjoy the exceptional quality of life that comes with daily sunshine, locally grown produce, unspoilt natural space and a well maintained sense of community. Spanish culture values food, fiesta and family & friends. In discovering all this in characteristic Menorcan style, here at Menorca Blue, we hope you find that you can’t resist discovering it for yourself in person.